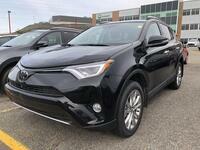 Contact Saint John Toyota today for information on dozens of vehicles like this 2019 Toyota RAV4 XLE. This SUV gives you versatility, style and comfort all in one vehicle. Take home this 2019 Toyota RAV4 and enjoy the safety and added performance of AWD. This is the one. Just what you've been looking for. This is about the time when you're saying it is too good to be true, and let us be the one's to tell you, it is absolutely true.